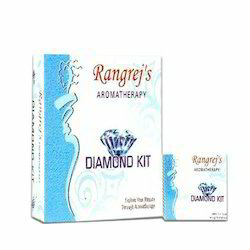 We are prominent firm engaged in offering a wide range of Diamond Facial Kit. Extensively demanded by our clients for its effectiveness and better results, our range is proceed in compliance with the international quality standards. This range of ours comprises cleanser, cream, gel and a face pack which are very effective and have pure aromatic properties. 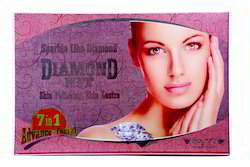 DIAMOND 7-IN-1 Advance Facial Kit contains 7steps diamond cleanser, scrub, cream, gel, pack, glow cream and glow skin serum.